Welcome guys to this new tutorial, today I'll guide you on how to install Windows 7 into the ASUS X200M notebook, it's a 11.6" notebook that came with only Windows 8 support forcing users to use only uses the latest Microsoft's OS, and that's not good from idea from a big company like ASUS, fortunately they released an update for that. 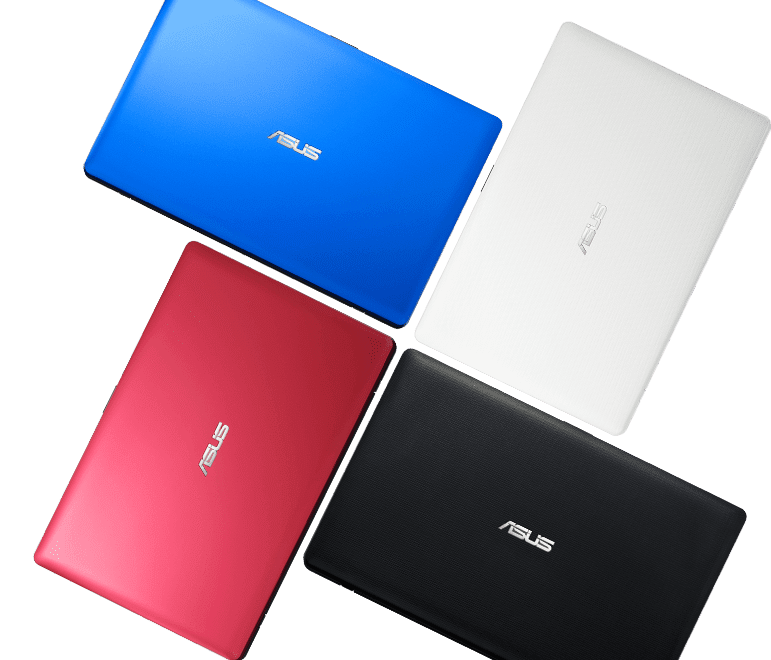 Check and recheck your full ASUS notebook reference, the BIOS update file on this post is just for the ASUS X200M series. 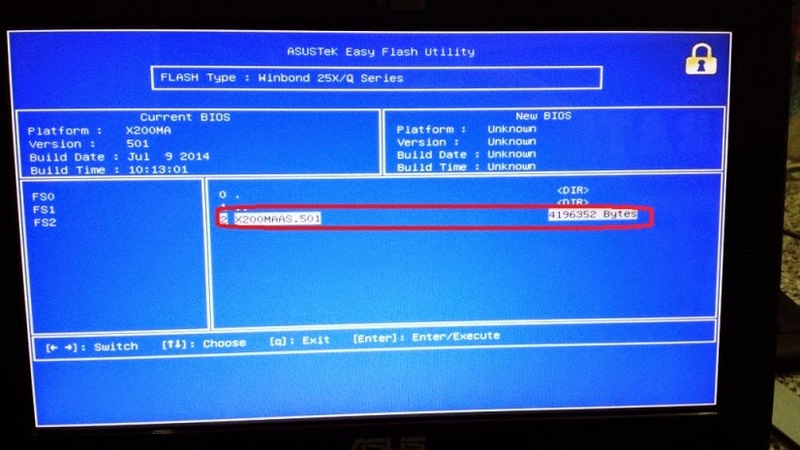 Download the latest BIOS Update file for your ASUS X200M from this Official page. Charge your ASUS notebook more than 20%, and keep it plugged. Note: "BIOS updating is very simple and very dangerous, so don't do this if don't know what you are doing!" Plug your flash disk into a working computer and format it into FAT or FAT32. Now extract the downloaded BIOS update, you must find a file like "X200MAAS.501", copy that file into the flash disk. Now shut down your ASUS laptop then plug the flash disk into a black USB 2.0 port, then boot into BIOS using F2 button. Go to "Advanced" tab and select "Start Easy Flash". Now a new window will open, select the X200MAAS.501 from your flash disk and hit enter (check picture). Now wait for a minute or two and DON'T SHUTDOWN THE LAPTOP! When finish, the notebook will shutdown, power it and enter the BIOS with F2 then go to "Advanced". 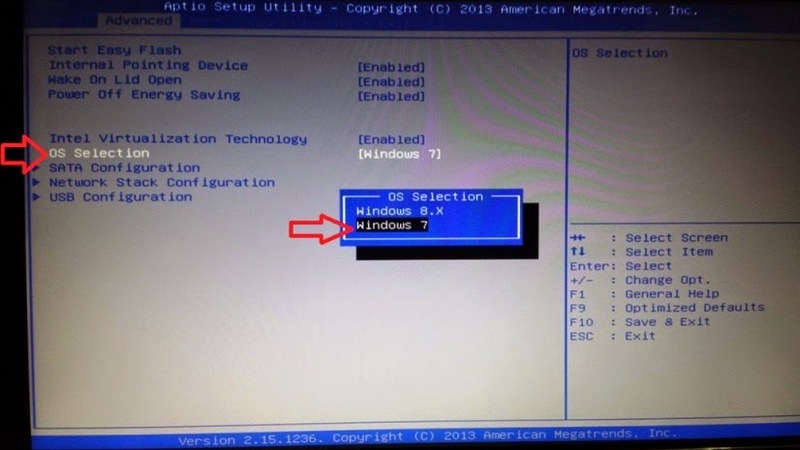 You'll notice a new option named "OS selection", select Windows 7 instead of Windows 8.X. That's it now you can boot into Windows 7 using USB disk or external DVD drive then install it with no problems, if don't know how to make a Windows 7 USB flash disk, check our Tutorial. Also, we're here to help if you have any problems. If you want to thank us, Share/Like this with your friends ! my X200M's BIOS still 306 Version..
when I try to flash it..
there didn't show Asus Tech Easy Flash Utility..
thank you, nice info.. it works!! where can I find it's updates?